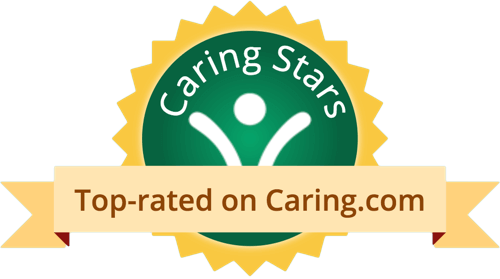 Reviews of SeniorCare Companions, Inc.
Home Care Reviews for SeniorCare Companions, Inc.
Dr. Bernie, Joanne, Angel, Melissa, Danielle, and Holly provide quality care for their clients helping to minimize the challenges faced by the primary caregiver(s). Senior Care trains staff with necessary skills to ensure that loved ones get the highest quality of care possible. Senior Care provides care for my mom and even in the hospital when I needed help. They are wonderful. This letter is in praise and acknowledgment of your outstanding care provider, who assisted my mother in the final two months of her life. My family is ever thankful and truly blessed for your care of our mother. Thank you so much for your kind words. We are thankful for the opportunity to be able to provide quality service in your time of need. Your review makes all of us here at SeniorCare encouraged and motivated to continue to provide the best care for our wonderful clients and their families. SeniorCare Companions, Inc was OK. They offered 24-hour care with good caregivers. The company is OK in terms of billing and scheduling. They have decent aides who do their service well. Maybe they can have aides that take care of pets because I have pets. That you for affirming that we offered 24-hour care with good providers. Our providers are the heart and soul of the company, and we put a lot of emphasis on making sure that we have the best caregivers in the business. We do offer aides that take care of pets, and if a client wants an aid that is pet-friendly, all they have to do is ask. Thank you for allowing us to provide quality care you can trust. The staff at Senior Care Companions Inc. is good. They're very accommodating. It is a good agency. I have been with them for a couple of months now. My mom found somebody through SeniorCare Companions. We used them for three months. The caregiver was good. We had her five days a week. She was attentive. Excellent service. An aide was needed for my mom when she was in the hospital and Senior Care was there within hours. Aides are well trained and reliable and show understanding of compassion. SeniorCare Companions did good. I've hired them for my mother. The caregivers are satisfactory. I have them for some time now. SeniorCare companions were nice people. I really think that they do a good job. They cared for my wife. The caregiver they sent worked hard. We used them for about a year. I received very good service. Couldn’t ask for more. We were referred to Senior Care Companions by the staff at my parent's assisted living complex and have been using their services for the past eight months. Each and every aide they have sent has been professional, patient and pleasant and dependable. Senior Care coordinators also responded quickly and efficiently to our recent and somewhat sudden request to increase coverage to 7 days a week. Knowing that they will work with me as my parent’s needs change has been very reassuring. Thank you for your kind review. We work hard to make sure that SeniorCare Companions can provide quality care you can trust. Having a 24/7 call center, as well as a full staff of coordinators, administrators, directors, nurses and human resource personnel help us ensure that we are ready to handle any situation. I like the way they came to the house and interviewed with us. They checked out everything and made sure everything is proper and ready for my mom and the caregivers. They check in and always make sure that everything's right. SeniorCare has excellent care companions. They're very caring people. They're prompt, on-time, courteous and caring. I have nothing but positive things to say to them. If there's a problem, they take care of it right away. I never had a problem with any of the people that they sent. They helped her with anything that she needed and they accompanied her and talked to her a lot. They're right in my neighborhood. They're very accommodating. I could phone them on a spur of a moment and they're always able to place an aide for my mother. Everyone that they send is fantastic. They're with her 24 hours from 2-5 days depending on the situation. They help her get up in the morning, bathe her, dress her and accompany her all through out the day. We have them for a year now. Their management is fantastic. They're always returning my phone calls. I never have to wait. I heard about SeniorCare Companions from the Sunrise Assisted Living facility. They recommended them to us. My mom has been there for about a year now. She's getting progressively worse. She needs that many hours of care. The caregiver I have from SeniorCare is there everyday on time. She reports to me on a daily basis. She tells me everything that's going on and how mom is progressing. It's nice to know that we have somebody there that's taking care of her and tell me what's going on. The aids there at Sunrise have 4 or 5 patients per aid and they can't really give them individual care. My mom is 93 and she's getting worse. She needs somebody there all the time and I can't always be there. My mother loves her caregiver. My mom is very coherent and she doesn't have Alzheimer's. She has dementia, but she's very vocal. She tells me she likes her and that she's her pal. I appreciate everything that she's doing for me. I'm definitely very happy with their service. We used Senior Care Companions for my father and we also used them for my mother-in-law for the last couple of years. My parents are very happy with Senior Care. They're very easy to work with. Anyone that they send has been very very nice. The main caregiver is great and she does was she needs to do. She's pleasant and just wonderful. When she had a day off, she and her replacement were always in good contact with each other. We never had an unpleasant experience with them. We spoke with a social worker when my mother was coming out of St. Johnland. They recommended a few agencies but Senior Care Companions stood out for us. We really like Miguel. They've been really great and responsive. If ever there's an issue, they're very responsive to our concerns and they will take care of it right away. The caregiver we have now is really wonderful. My mom is really happy with her. We're all very happy with her. We used them temporarily before but we've had them full time since March 2012. We haven't had any problems with Senior Care Companions. Our Price - $24/hr and $240/day for live-in. We accept all major credit cards as well as ACH transactions. Our Product- All of our Caregivers undergo an extensive interview and background check, as well as a 6-hour training class. They also must submit to a drug screening and have up-to-date medicals. Our Performance- SeniorCare is one of the few Companion agencies that offer complementary initial Registered Nurse Assessment to our clients. We also use computerized monitoring of our caregivers, and routine unannounced drop-in's to make sure that our companions are the best in the business. Hope to have the opportunity to serve. "Quality Care You Can Trust"
Photos of SeniorCare Companions, Inc.
Services and Amenities of SeniorCare Companions, Inc.
Start your review of SeniorCare Companions, Inc.
What should caregivers and potential clients know about SeniorCare Companions, Inc.?